Advertiser.ie - People of the Tribes : Meet Senan. ''I'm Senan O Connor, raised in Rhode Island, the smallest US state located on the coast a few hours north of New York. Son of a Galwegian father and an American mother. 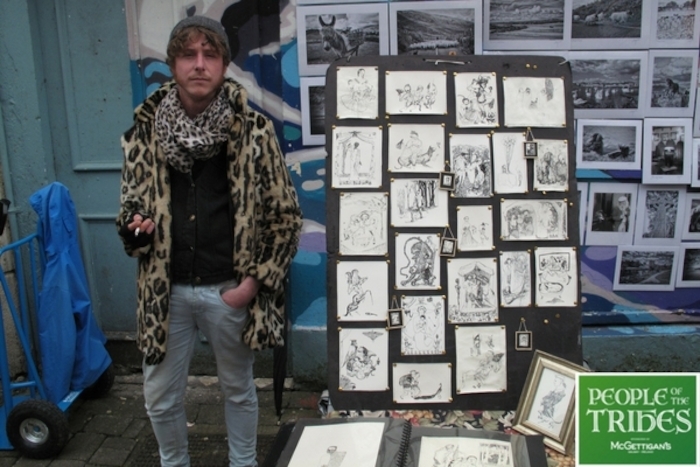 At 18 I began travelling around the states and parts of Europe selling my art as pen and ink postcards on the streets of various cities before settling in New Orleans in 2009. Last June I moved to Galway which held great memories for my parents. I wanted to see what it might be able to offer me and what I might be able to offer it. You can find me on Saturdays at the tiny trader's village, a new market at Aras na nGael on Dominick street''.